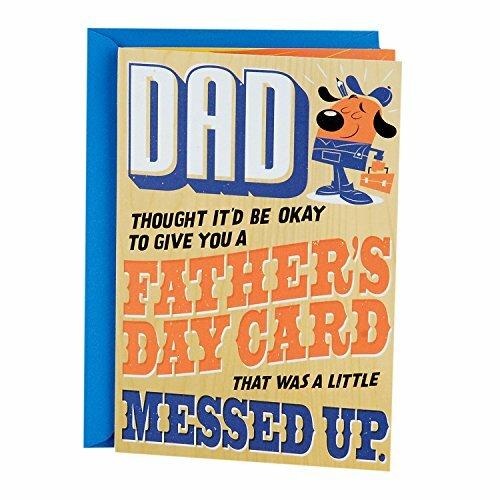 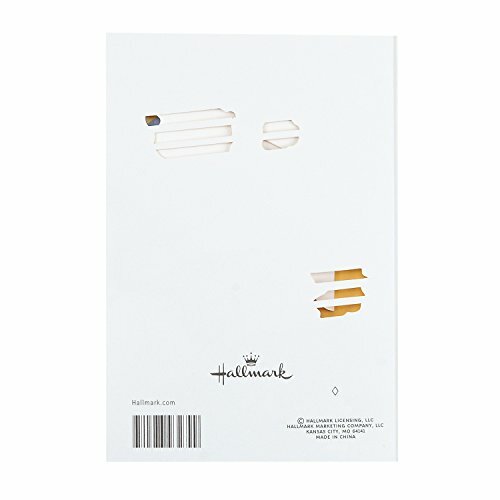 Front Message: Thought it'd be okay to give you a Father's Day card that was a little messed up. 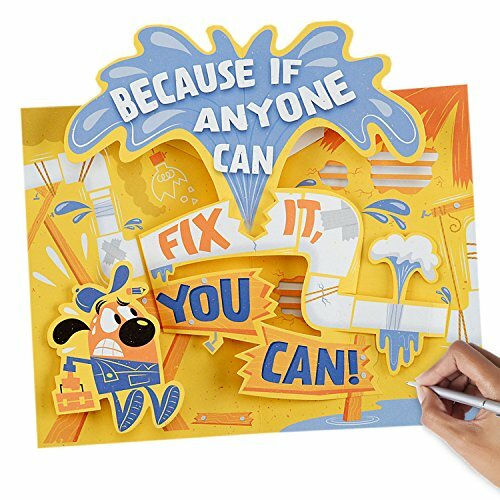 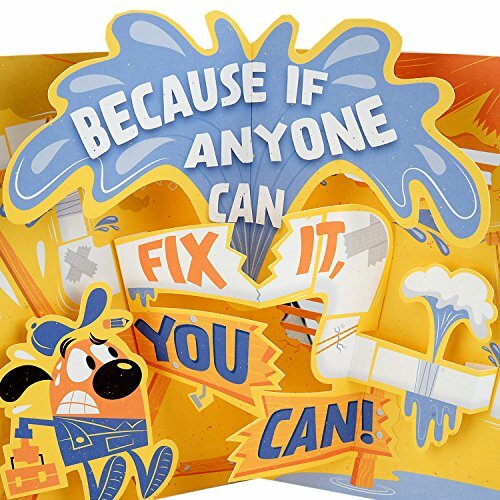 Inside Message: Because if anyone can fix it, you can! 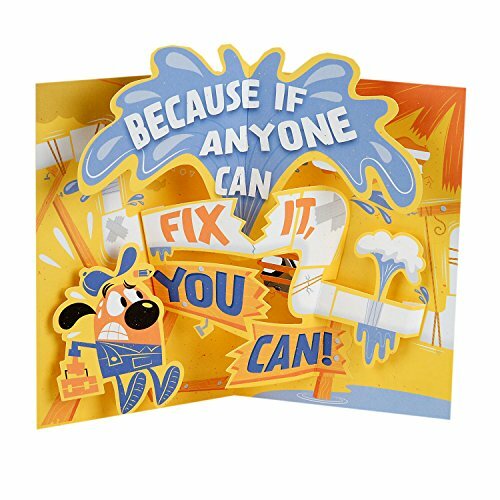 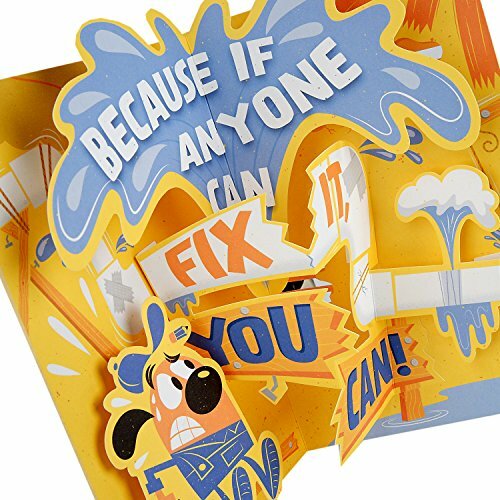 This card's design features a cartoon dog in overalls and a cap holding a toolbox, open the card to reveal a pop-up plumbing mess.